Apple's official support page for iMovie and filled with instructional videos on all features of iMovie. There are many resources available to help you learn and work with iMovie. Below are some of the resources we recommed that provide complete overviews of iMovie, its features and tools, as well as step-by-step tutorials of the application. Lynda.com contains some of the best instructional videos available! Each videos are bite-sized and broken down to show individual features or tasks, so you quickly learn about what you need to know and not waste any time! *Lynda.com is only accessible on MLibrary machines. If you would like to learn more about Lynda.com and how to access the video tutorials, please contact the Knowledge Navigation Center, Groundworks, or TechDeck. This online book is an A-Z guide to iMovie. Learn things from how to install the software, to how to add effects, to exporting and sharing! 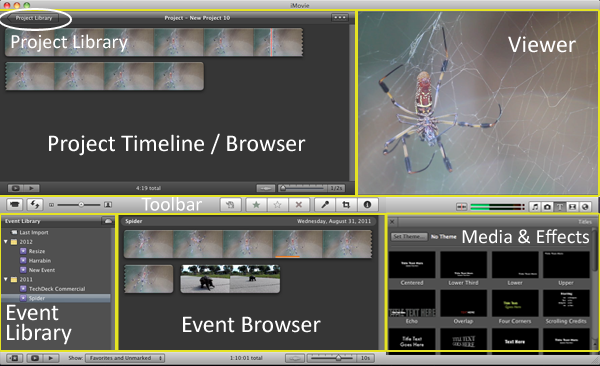 iMovie is a video editing application that is part of the iLife Suite, which is available for only Macintosh computers. It allows users to quickly and easily record/capture/import clips, edit footage, and export. iMovie is an introductory video editing application, yet still includes many additional features such as ready-to-use themes, transitions, and slides to help make your video look polished and professional. iMovie is compatible with other Apple applications such as iDVD, iPhoto, iTunes, and QuickTime Pro. Note: iMovie ‘11 projects are mostly compatible with Final Cut Pro 7 and Final Cut Pro X, but not vice versa. iMovie ‘11 projects can be imported into Final Cut Pro 7 and then into Adobe Premiere Pro, but not vice versa. Keep in mind that files saved on a university computer are not safe from deletion. It is highly recommended to have an external hard drive or other device in which to store all your files. External hard drives are available for purchase at the Computer Showcase. 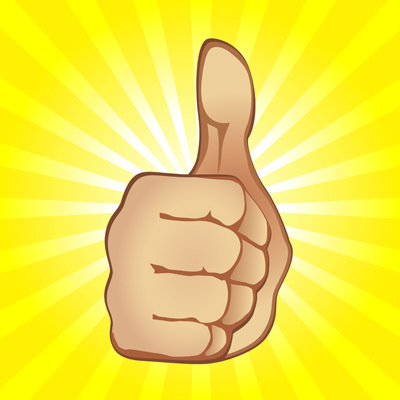 It is recommended that you work on your project from your external hard drive. iMovie ‘11 natively supports uncompressed SD and HDV, uncompressed HD, RAW camera formats, Panasonic P2, DVCPRO HD, and Sony XDCAM HD. There is no manual save feature in iMovie ‘11; everything is saved automatically to your specified locations when you create a new project and event. Learn more about iMovie ’11 by using the tutorials at Apple.com. Learn everything you need to know about iMovie ‘11 by using the tutorials at Lynda.com on any designated library computer. For their wonderful contributions and hard work!